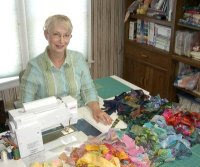 Elsie M. Campbell and Aunt Mimi's Quiltworks: Quilt Tops Galore! Miss Kitty's Quilter's top is finished and on its way to Shelley Carmicheal for her to add a little magic with long-arm machine quilting. This quilt is going to be the basis for a new block-of-the-month freebie pattern that will be available for download from my website beginning January 15, 2010. 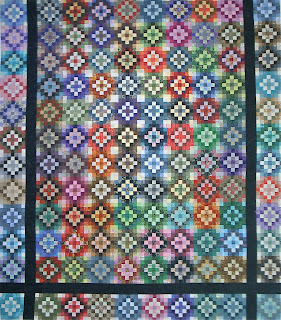 See my blog before this last one for a Smile box of all the blocks, if you're interested, or haven't viewed it before. 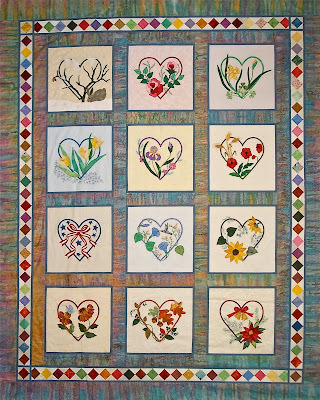 I'm so pleased with the finished quilt top, and can't wait to see what Shelley has in mind to add for quilting. Next are the Big Sister/ Little Sister quilt tops. 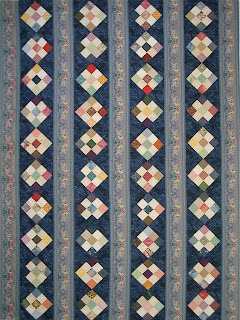 One is a postage stamp quilt I feature in an earlier blog, with blocks made up of 1" squares. The entire block is only 7" square. The other is her 'Big Sister' with blocks made up of 2" squares, and 14" square blocks. It is amazing how different they look, but each quilt top measures exactly the same: 76" x 87" or queen-size. Here are two more: A no-name-at-this-time quilt top that I'm really anxious to get around to quilting because the solid color fabrics, and the large white borders would allow me to feature lots of fancy quilting patterns, like feathers or flowers. I just haven't had time to figure it all out yet. What do you think? The last one is a quilt top I'd made several years ago using a Jinny Beyer stripe. 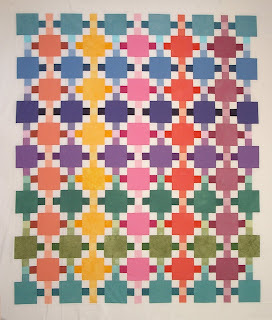 It is a simple strippy style quilt, but I really like the clean and pastel colors I used for the 9-patch blocks. 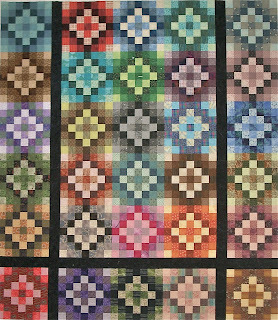 These latter 4 quilt tops are intended for a new book about scrap quilts made from entirely from squares and triangles. I just haven't gotten around to the triangles, yet! On another note, I'm happy to report that little Gianni is home and doing well. He and Sally are at the 'truce' stage of their relationship. They tolerate each other in the same room in close proximity (2 or 3 feet) but Sally is not happy when he hogs breakfast, and is especially unhappy when she has to wait in line for the potty pan. I have given them their own personal privies so as to eliminate as much conflict as possible. Gianni is clean and pretty much odor free, but he was a mature tom cat. The vet says the tom cat smell will fade as his hormones dissipate following neutering, but in the meantime, we're sleeping with windows open, and airing out the house after cleaning his litter pan each morning. It's been 25 years or more since I had a tom, and then they were mostly outdoor cats, so I'd completely forgotten about this aspect of owning a male cat. 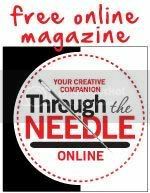 I know quilters tend to be Cat People, so any suggestions you have for this aspect of cat ownership would be appreciated.